This Super Tuesday Jazz Presentation will totally concentrate on only song titles that start with the word “Blue.” As one can imagine how many Jazz songs that have the word Blue in the title but there are many more with the word Blues in the title, those are not included on this particular presentation. That goes for the Jazz song titles that have the word Blue in it but do not start with it, they are not included in this presentation either. I left many great songs out because they were not as consistent with the others but these will do. Check the schedule link for play times, enjoy! 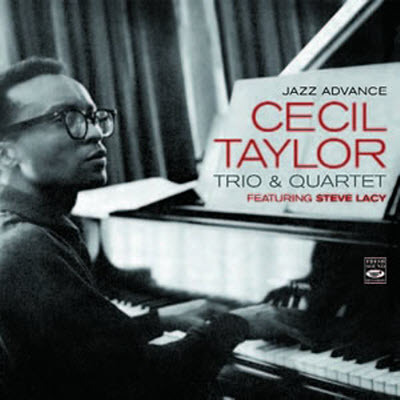 One cannot measure the advancement and mindset of the great Cecil Taylor in 1956 when he recorded this album “Jazz Advance (Deluxe Edition).” There are very few others who could be compared to pianist Cecil Taylor in Jazz history. 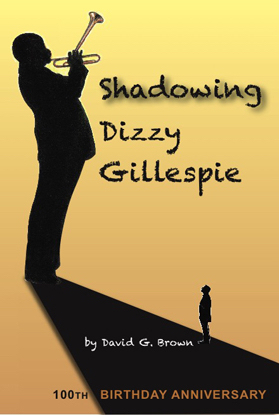 He simply took it a step further and with no thought of hesitation or fear. This man plays the piano like nobody ever has and like anybody who as talented, will ever attempt to play it. And because of his overabundance of superiority, he has been jealously ignored. 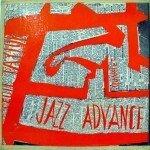 Jazz is very advance and sometimes when watching an old footage of video, one can be thrown off by appearance. You see men or woman playing instruments but not in a very animated way. So you lose track of the music and how exceptional it truly is. Listening only and with no visual distractions, would be the best way to digest it. 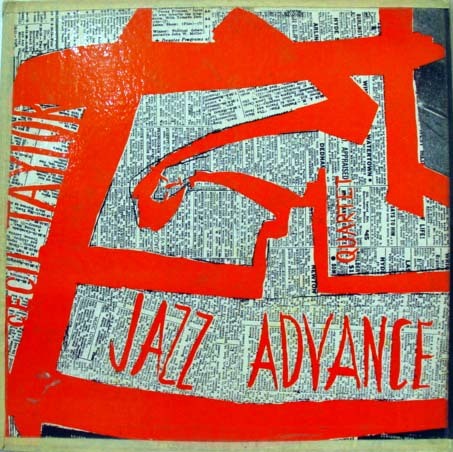 Listening closely to Cecil Taylor play the piano in this album will help you understand Jazz further. He might go out into tangents here and there, so let him go, be patient, he’ll come back to the song and when he does, it will feel like he never departed the song at all! But why? You ask yourself. Because its Jazz you’re listening to and now you finally understand it. There’s no such thing as an explanation of what Jazz sounds like. You either accept to understand its sophistication or you refuse it. You must give it a real chance though and you will find out how beneficial it is to your mind. Check the schedule link for play times and remember, this is the Deluxe Edition, it has three extra songs and they are live, ENJOY! 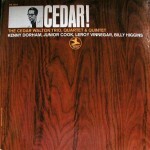 Here’s a great Avant-Garde album from Cedar Walton and his first as a leader. 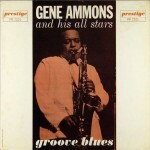 It was recorded in 1967 and launched a new career for him as he entered the Jazz Funk scene. 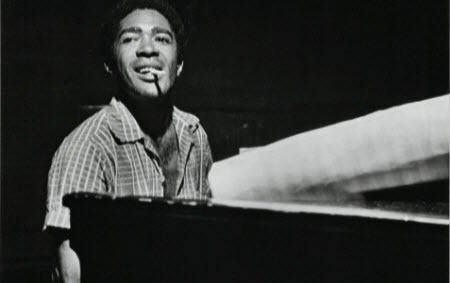 He is considered one of the top pianists that Jazz has offered and is well known but had to earn it. As you can see in his discography he was an integral part of many major Jazz breakthrough albums. The name of this album is “Cedar!” and don’t get confused with MP3 version shown there on Amazon, this album is only available on CD there. 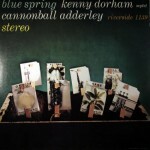 Its very relaxing Jazz with heavy impressive/innovative piano from Cedar and great drum work by my favorite Billy Higgins who layers it with c o o l n e s s. Kenny Dorham is sweet and subtle on the Trumpet, Junior Cook adds texture on Tenor and Leroy Vinnegar is domineering with a powerful Bass. The contributions of sidemen Dorham and Cook are not in all the songs (Read Below). Check the schedule link for play times. Great stuff, enjoy! On Jazz Con Class there’s plenty of Coleman Hawkins to be heard but there hasn’t been an album of his featured. “The Hawk Flies High” will be featured for a few weeks or so. I will actually place it on the Hard Bop playlist because that’s the style of Jazz used. Coleman Hawkins is considered to be the best tenor Saxophonist ever because he simply reinvented it and incorporated into Jazz, nobody before him had done this. Even Lestor Young, who many feel was the first to do this, mentioned in an a Jazz Review interview “As far as I’m concerned, I think Coleman Hawkins was the President first, right? As far as myself, I think I’m the second one.” They both had there own styles but Coleman Hawkins was the first. 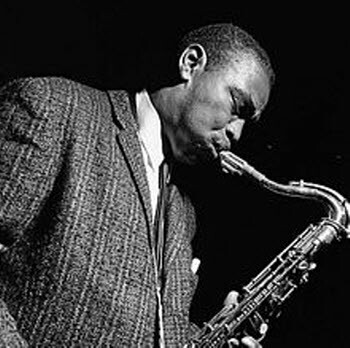 Every tenor saxophonist has a little Hawkins in them. 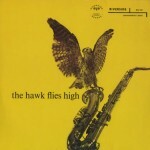 This album is very interesting and very different, it doesn’t only features Coleman Hawkins as the driving force. Check the schedule link for play times. 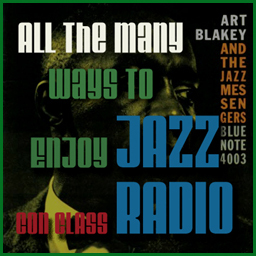 What a sweet album this is, the Jazz Con Class listeners are going to enjoy this uplifting collection of spring songs. All six songs have the word “Spring” in it. Kenny Dorham with his low pitch signature sound and Cannonball Adderley with his soulful glorious sound make a great combination. There’s an addition of instruments (Baritone Sax, French Horn) in this album which was a combination of two separate 1959 recordings. All the musicians were in both recordings except for the drummers, Jimmy Cobb (Tracks 1-4) and Philly Joe Jones (Tracks 5 and 6). “Blue Spring” will be featured for a week or so, check the schedule link for play times. 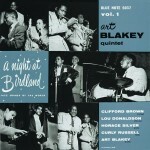 This 1958 “live” album is classified as one of the best Jazz albums ever. 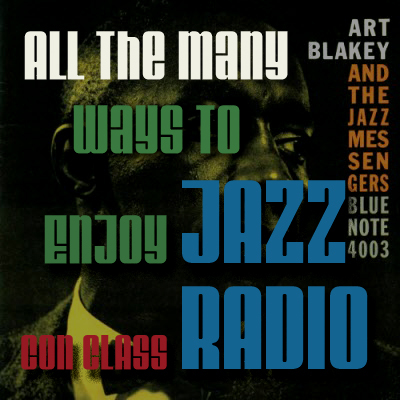 The Jazz Con Class listeners will be able to hear it in its entirety and will realize why it is so highly regarded. 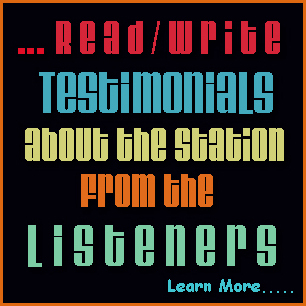 Many of the listeners here know this already but there are many also, who have not heard it before and they will get the opportunity. This was a tiny club in New York City (More Below) and was very famous from the mid 50’s to the mid 60’s. There were 7 live recording there and this one was the first. I will definitely feature more live recordings from this historic Jazz club in the future. The album cover even has additional pictures from inside the club and where the musicians stood. 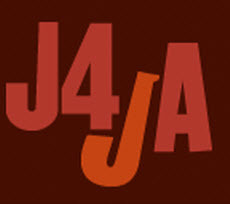 I will be featuring “10 To 4 At The 5 Spot” for a week or so and then place it into the “G4” playlist. Check the schedule link for play times, enjoy! 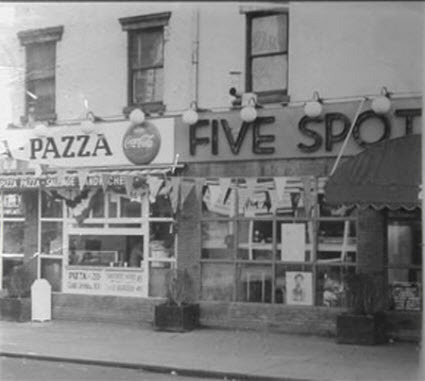 The Five Spot Café was a jazz club located at 5 Cooper Square in the Bowery neighborhood of New York City. In 1937, Salvatore Termini (b. 1884) purchased what was then known as the Bowery Café, a working-class bar located under the Third Avenue El. In 1946, two of Termini’s sons, Joe and Ignatze (Iggy) returned from the war and helped run the bar. In 1951, the sons purchased the business from their father and renamed it the No. 5 Bar. If you are an aficionado of Jazz, especially the Jazz that reigned in the 50’s and 60’s in New York City you have undoubtedly heard of, or visited The Five Spot Café on 3rd Avenue and St. Marks Place in Manhattan’s East Village. My father, Joe Termini and his brother, Iggy, owned and operated The Five Spot during those heydays and created a haven for such musical giants as Theonious Monk, Sonny Rollins, Charlie Parker, Ornette Coleman, and Charles Mingus. Here’s a great live album of Thelonious Monk and his one-performance orchestra. 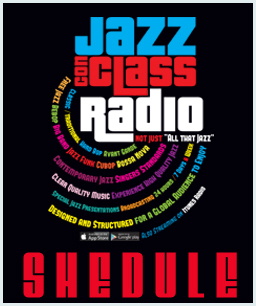 The videos below will fill the Jazz Con Class listeners with more detail. The official name of the album is “Thelonious Monk and his Orchestra at Town Hall.” Orrin Keepnews was the founder of Riverside Records and since then has sold the rights to the Concord Music Group. Here’s a link to all the Keepnews albums that are available for purchase. 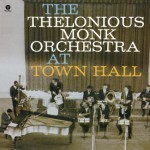 Thelonious Monk’s orchestra consists of: Thelonious Monk (piano); Phil Woods (alto saxophone); Charlie Rouse (tenor saxophone); Pepper Adams (baritone saxophone); Donald Byrd (trumpet); Robert Nothern (French horn); Eddie Bert (trombone); Jay McAllister (tuba); Sam Jones (bass); Art Taylor (drums). 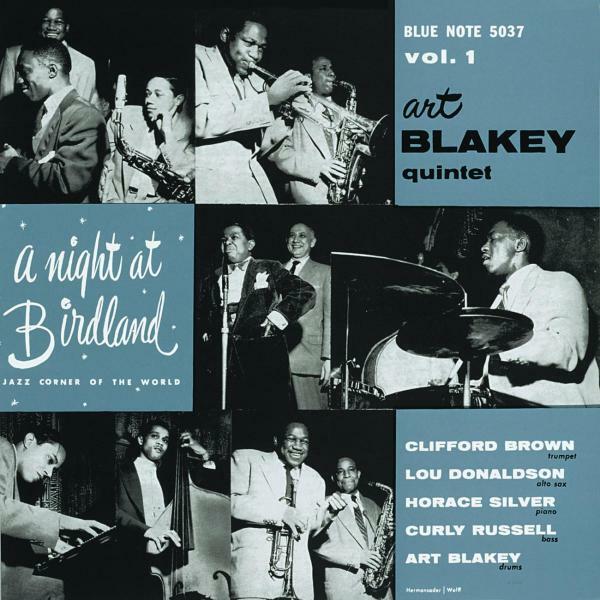 Personnel: Thelonious Monk (piano); Phil Woods (alto saxophone); Charlie Rouse (tenor saxophone); Pepper Adams (baritone saxophone); Donald Byrd (trumpet); Robert “Brother Ah” Northern (French horn); Eddie Bert (trombone); Jay McAllister (tuba); Sam Jones (bass guitar); Art Taylor (drums). Its so unusual and even awkward to see these Jazz greats sitting down and playing their instruments. Check the schedule link for play times, enjoy! This 1961 album was a beautifully mellow and completely embraces its title. 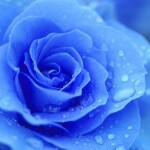 “Blue and Sentimental” should appropriately be heard in a relaxed environment or maybe when one is looking for a way to rest their mind after a long, crazy day. 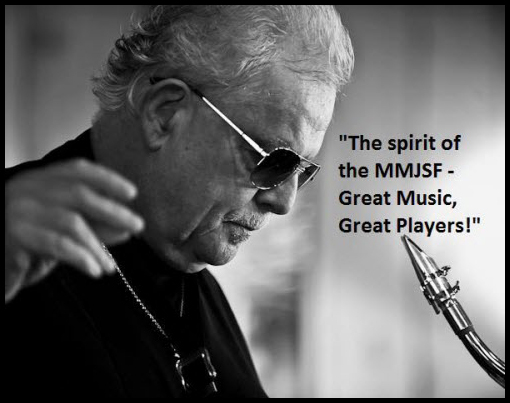 That’s the beauty of Jazz and I always said to those who asked me why I listen to this musical art form. 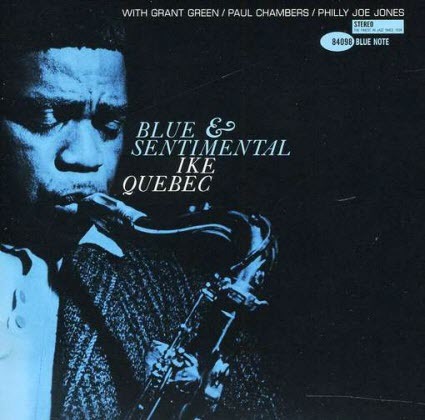 I always answer with, “Jazz keeps me sane.” Ike Quebec played the saxophone in a straight forward gentle manner that does not, by any means, bother the ears. This album helps equip the Jazz Con Class listeners with even more of an advantage because of the addition of Grant Green, who is considered to many as the very best Jazz guitarist ever. There are a few upbeat songs in the album but Quebec and Grant keep it under control. 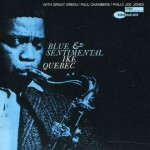 After you listen to the whole album, you will confirm it to yourselves, it is truly, Blue and Sentimental! This album will be featured for a week or so, check the schedule link for play times, enjoy. 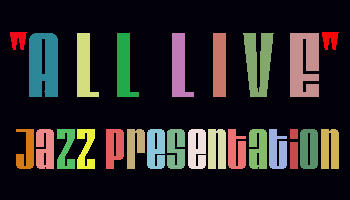 This week will feature an “All Live” recordings of great Traditional/Classic Jazz. While preparing this playlist I have come to the realization that I have enough live Jazz recordings to feature it on the rotation by making a specialized playlist for it. 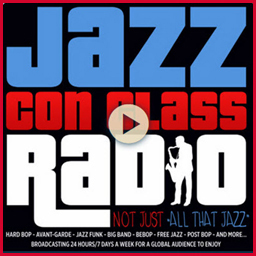 I will have this playlist available on a regular basis for the Jazz Con Class listeners very soon. But for this Super Tuesday, I will have a three-hour Jazz Presentation that will air three times in a 24 hour time span, so nobody will miss it around the world. Take a look at the schedule link for play times and enjoy! 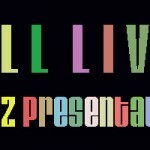 This a great “Live” album and the listeners of Jazz Con Class will enjoy it very much. 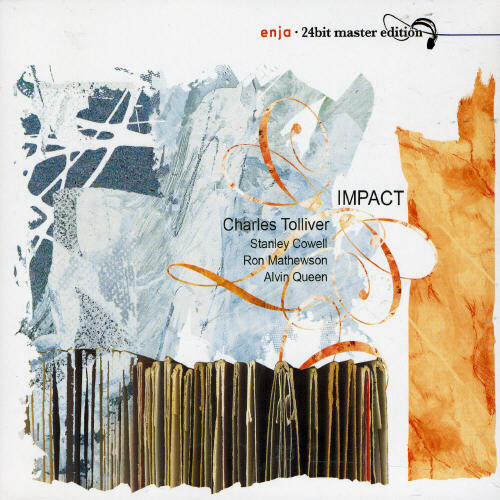 I ran into it while searching for more albums of Charles Tolliver. 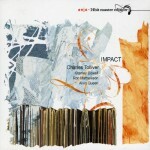 The name of this album is “Impact” but please do not confuse it with an earlier recorded album with the same exact name. This is the Enja version and was recorded live in Germany in 1972. I searched for reviews online and could not find anything close to a more accurate description/review of this album, than the one below. Excellent album, check the schedule link for play times. One disc 73 minutes approximately. Digitally remastered. The sound is very clean and has a warmth,which is sometimes lacking in live recordings and/or through the remastering process. This disc features Charles Tolliver -flugelhorn,Stanley Cowell-piano,Ron Mathewson-bass,and Alvin Queen-drums. Anyone with more than a passing interest in jazz will know all the above players. All of them have played with both many known and unknown musicians/groups for many years. This particular recording is taken from a live concert in Germany, in 1972. Don’t let the date fool you into thinking that this is “old”jazz-not worth hearing. This recording could sit alongside some of the more forward thinking releases on Blue Note Records,or any other labels you might happen to think of. Right now I have to say that I feel it’s a shame that music of this caliber is only truly appreciated,by and large,in Europe. 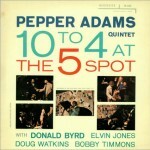 For this is some excellent post be-bop played at it’s finest. Both the bassist and drummer hold things together and give these tunes a real grounding,while at the same time they never lose that feeling of swing so important to this type of music. Tolliver’s playing is always right on the mark. Never cluttering up his sound with to many notes,he leaves just enough space between the notes so that the music breathes and seems to come alive. Likewise Cowell-his playing,no matter if he’s filling in spaces or is soloing,is always of the highest caliber. 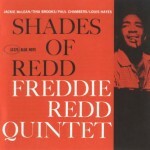 This is an exceptional Hard Bop album, released in 1960 from another less known Jazz pianist Freddie Redd. This quintet he put together was extraordinary, especially on the saxophones. A dynamic duel of two greats, Jackie McLean (Alto) and Tina Brooks (Tenor). And of course, the rest of the cast is amazing, Paul Chambers (Bass) and Louis Hayes (Drums). 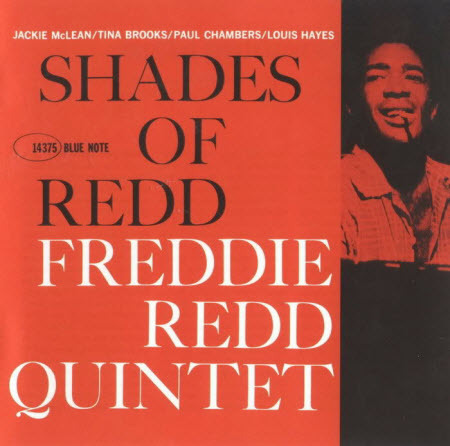 “Shades of Redd” will be featured for a week or so and then placed in the Hard Bop playlist. Check the schedule link for play times, enjoy! This 1960 album is considered to be one of the first Hard Bop album and it will not let the listeners of Jazz Con Class down. 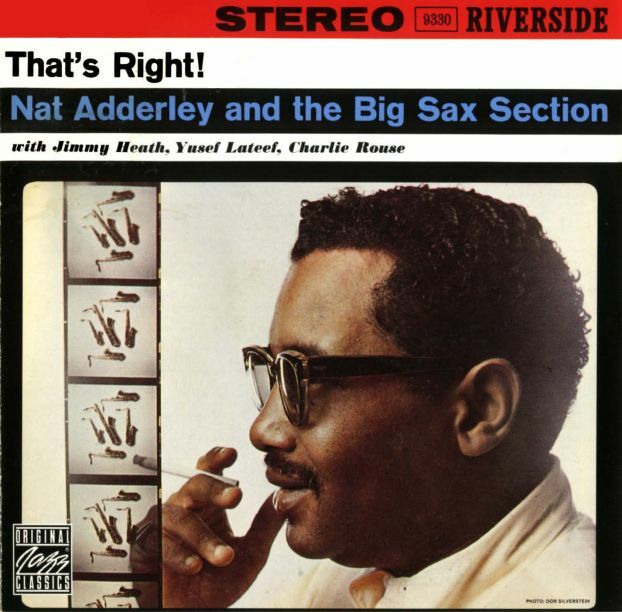 The Adderley clan consisting of Nat, Cannonball and Yusef Lateef (Both Tenor and Flute) are joined by two more sax giants, Charlie Rouse and Jimmy Heath. Tate Houston also was on board with his saxophone. That’s Right! The album labels it the “Big Sax Section.” One can actually distinguish between them as they take turns with short leads. Great album to sit back and enjoy, very entertaining and with a soft grace to it. 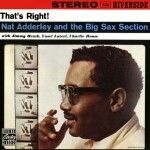 Nat Adderley establishes himself as a real leader here with that swift pronounced cornet sound. Check the Schedule link for play times. Still very much active as a touring and recording artist, Yusef Lateef is universally acknowledged as one of the great living masters and innovators in the African American tradition of autophysiopsychic music — that which comes from one’s spiritual, physical and emotional self. 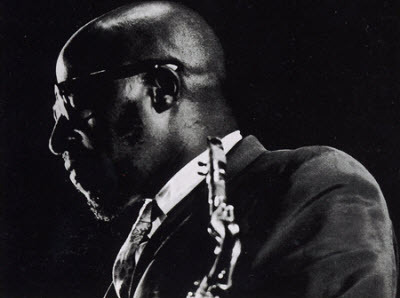 As an author, Yusef Lateef has published two novellas, “A Night in the Garden of Love” and “Another Avenue;” two collections of short stories, “Spheres” and “Rain Shapes;” and his autobiography, “The Gentle Giant,” written in collaboration with Herb Boyd. In recent years he has also exhibited his paintings at various art galleries. 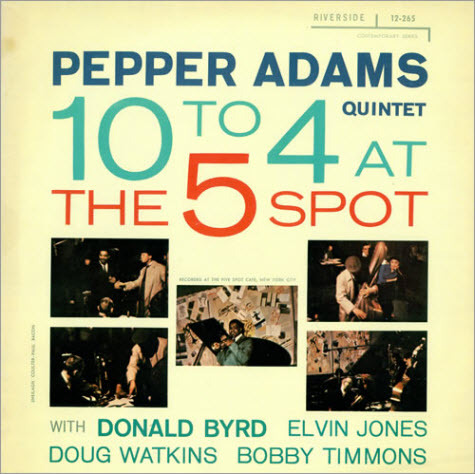 Starting this Sunday April 7th, I will begin featuring a straight six hours of Hard Bop Jazz and will appropriately call it “Hard Bop Sunday.” I will change the beginning time every Sunday so it could be listened to on prime-time from any part of the planet. 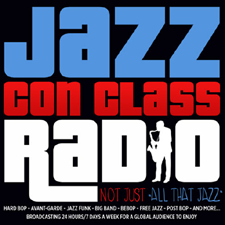 There are an average of 90 countries that tune in to Jazz Con Class on a monthly basis and all because it is on 24 hours/7 days a week. Check the schedule link for play times. Enjoy! 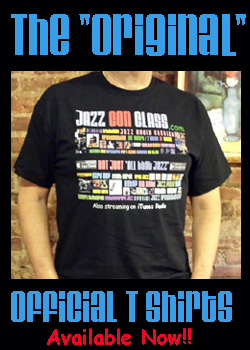 Hard bop is a style of jazz that is an extension of bebop (or “bop”) music. 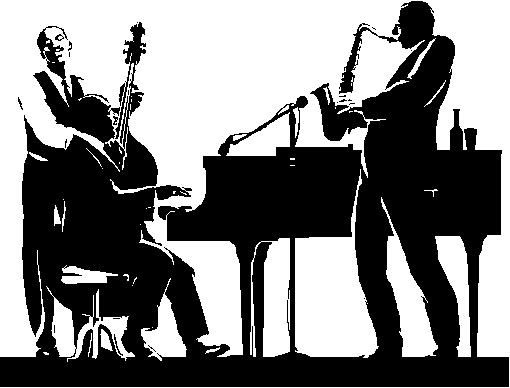 Journalists and record companies began using the term in the mid-1950s to describe a new current within jazz which incorporated influences from rhythm and blues, gospel music, and blues, especially in saxophone and piano playing. 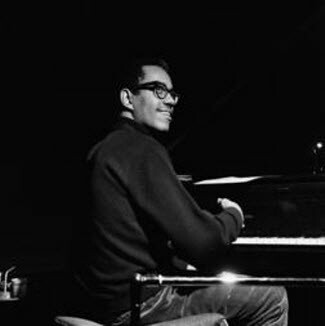 David H. Rosenthal contends in his book Hard Bop that the genre is, to a large degree, the natural creation of a generation of African-American musicians who grew up at a time when bop and rhythm and blues were the dominant forms of black American music. Prominent hard bop musicians included Horace Silver, Art Blakey, Cannonball Adderley, Miles Davis and Tadd Dameron. Hard bop is sometimes referred to as “funky hard bop.” The “funky” label refers to the rollicking, rhythmic feeling associated with the style. The descriptor is also used to describe soul jazz, which is commonly associated with hard bop. According to Mark C. Gridley, soul jazz more specifically refers to music with “an earthy, bluesy melodic concept and… repetitive, dance-like rhythms…. 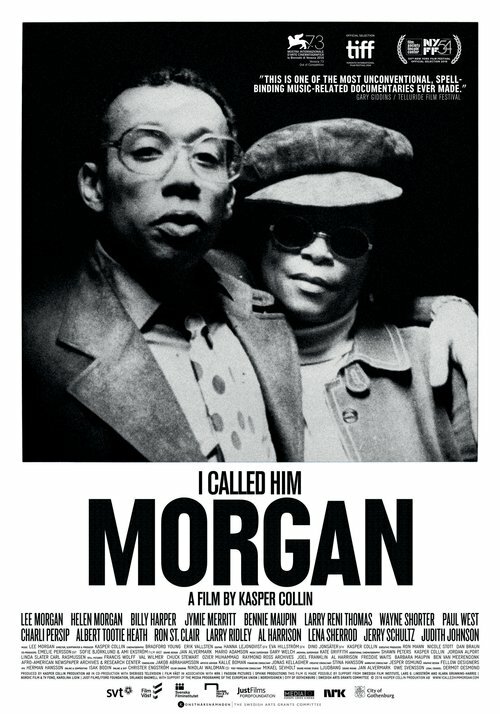 Note that some listeners make no distinction between ‘soul-jazz’ and ‘funky hard bop,’ and many musicians don’t consider ‘soul-jazz’ to be continuous with ‘hard bop.’ The term “soul” suggests the church, and traditional gospel music elements such as “amen chords” (the plagal cadence) and triadic harmonies seemed to suddenly appear in jazz during the era. 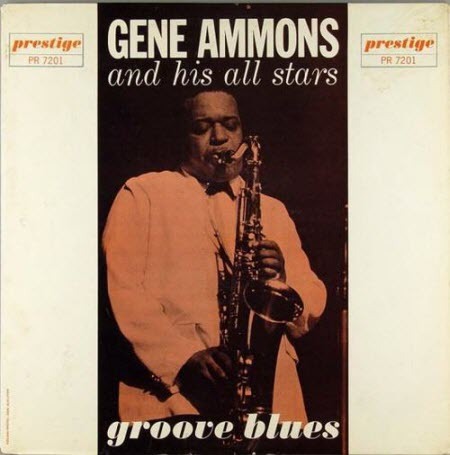 Gene Ammons sure had a nice group of “All Stars” with him when he recorded this 1958 album. The album is appropriately named “Groove Blues” because it is exactly how you will feel like when listening to it. As for the all stars, you will get John Coltrane, Art Pepper, Jerome Richardson (Flute) and Mal Waldron playing together. Rounding off this Mini-Big Band, you also have Art Taylor (drums), George Joyner (bass) and Paul Quinichette (Tenor Sax). Great album, not overabundant with improvisation but very entertaining and not one bit boring. It will be featured for a week or so, check the schedule link for play times. ENJOY! Last week I featured straight forward Hard Bop and the Jazz Con Class listeners loved it but this week I will feature long, deep improvised songs that take it to an extraterrestrial level. 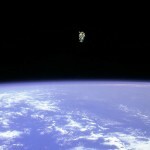 It will start in with in a formidable improvised Avant-Garde fashion and then will leap into the atmosphere and take you on an inter-stellar journey. Three and a half hours of mind-bending strength that will open your thoughts to knowledge. It is incredible how instrumentally superior Jazz musicians actually are and this Super Tuesday Jazz Presentation will help you understand further. 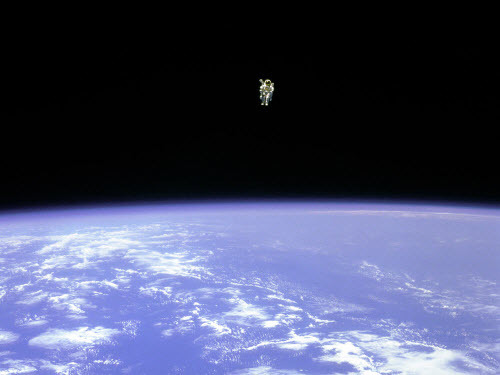 At the very end of this long set you will be brought back to earth and/or your senses, depending on where you are. Either way, it will smoothly land you back to your everyday life but you will feel better about yourself! Jazz helps you cope with everyday obstacles and most importantly, keeps you sane! It’s good to expose yourself with Jazz and unfortunately makes you feel sorry for those who just don’t have time to listen to it. Check the schedule link (Tuesday April 2nd) for play times, ENJOY!!!! There are a few more (I will post them also) but this particular one is my definite favorite. It is actually a two CD set and goes by the name “Complete ‘Round About Midnight at the Cafe Bohemia.” Great lineup but no sign of the real notables of that time, as you have the underrated J.R. Montrose on tenor and Arthur Edgehill on the drums. 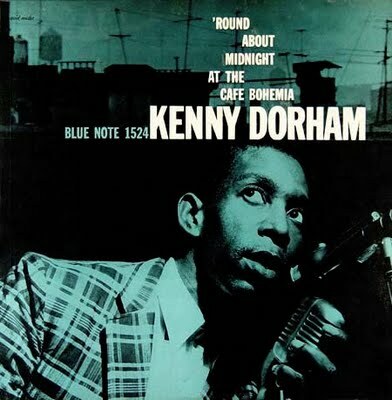 The other four making up this powerful classy sextet are of course, Kenny Dorham, Bobby Timmons, Sam Jones and Kenny Burrell. It was recorded on May 31, 1956. This album was one that was recorded but there were many other live sessions that were not. All these Jazz greats played and/or hung out in the Cafe Bohemia, which in a span of 2 years time was closed. 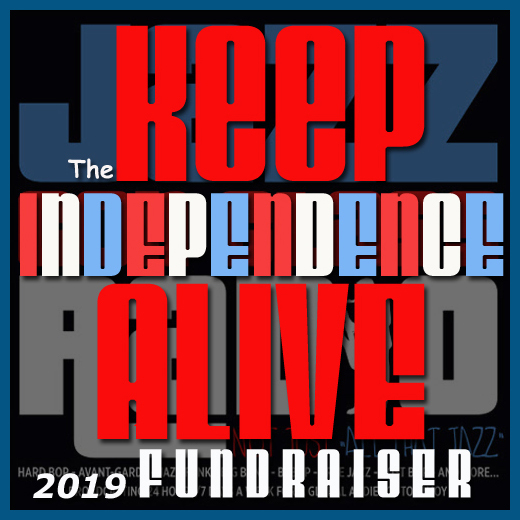 I have placed 8 songs (Not in Order) from the album and will give the Jazz Con Class listeners here enough insight of the quality of the music and the “Live” feel of being there! I will feature 8 songs from the album and they will not be in order. Check the schedule link for play times, ENJOY!